Please check out her guest post to learn more! I’ve found that there are several questions that every MC needs to answer in order for his or her author to get to know them better. For this reason, I’ve included these questions and more in my character intake form. But today, I thought I’d take the time to tell you why three of these questions are so important, so get ready to bookmark this page! While this is not the first question on my form (I ask for basic info like name and age first), it’s perhaps one of the most important. Our fears, which usually center around a limitation or a failure, perhaps a disappointment or frustration, hold the key to our biggest vulnerability. The same is true for characters. Fear is fundamental—present in every living thing. It’s relatable to every reader simply in its existence in a character’s life, whether or not they can relate to the specific fear or not. We all have fears, and we all go to great lengths to minimize opportunities for that fear to manifest. This says a lot about a character. The answer might reveal a time when the character showed great courage in the face of danger or kept their integrity when faced with the opportunity to cheat. The joy that a character feels from their moment in the spotlight, so to speak, can follow them through their life and be a constant reminder of how good life used to be, or it can be held as a standard they seek to attain again and again. It’s interesting to see how far back in a character’s life their greatest accomplishment occurred. How old were they? And what have they done since then? These questions really dig in deep at the core of the character, helping you get to know them. The answer to this question truly reveals a goldmine of information about someone. If a person feels shame or embarrassment over something they said or did, this connects to their self-image and values. If a person feels guilt over their actions or inactions, this is connected to their moral code. Sit your character down and force them to answer these questions. I suggest filling out my intake form in the voice of your character. I’ve been told by all my beta testers that my form helped them get to know their characters better than ever, so give it a try! You can find me at my new website, The Character Therapist and my blog. Be sure to sign up for my newsletter and receive the Writer's Guide to Character Motivation for free! ~ Thank you, Jeannie, for guest-posting over at my blog! I am so interested in what you're doing and I cheer you on for what you do! So how does the MC Blogfest play into this? RULES: Pretend you are one of your MCs and answer all 3 questions. 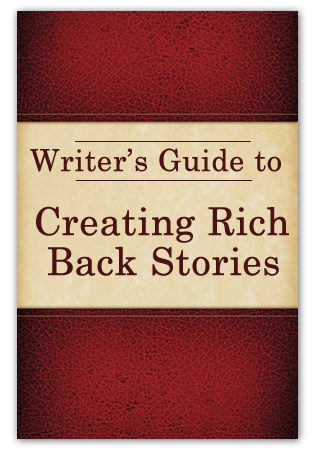 One lucky Blogfest Participant is the winner to Writer’s Guide to Creating Rich Back Stories! -->Increase your chances of winning further writing guides by following Jeannie Campbell! Please make sure you mention in THIS post that I referred you so she can keep track of entrants! ALL winners announced June 25th! 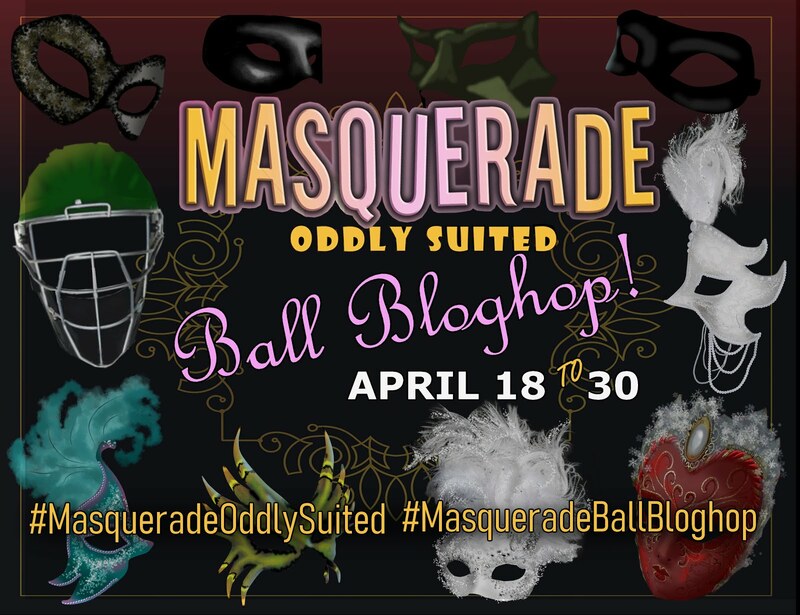 Please help spread the word to this Blogfest with the giveaways--everyone has a chance to win something! Those who don't post their entry the 24th will regrettable become disqualified. This month is going to be an interesting one over here at my blog. I had decided to set up interviews for writers' characters with Jeannie Campbell in the lead as an MC therapist (herself) starting June 1st. A new interview will post every Monday*. 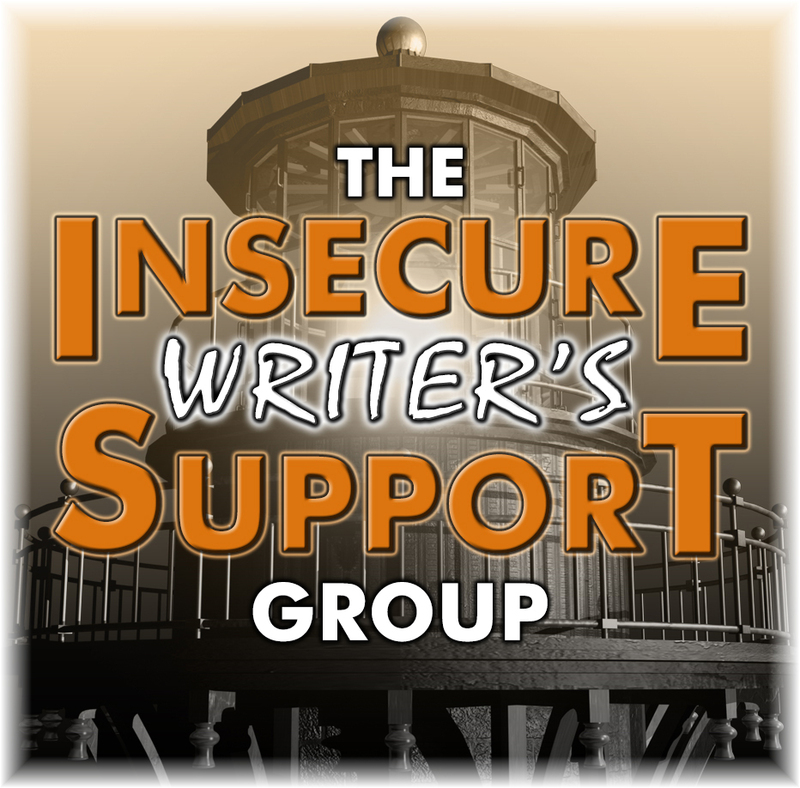 You'll dive into the minds of writers and they will share just how deep their passions run with their writing. You'll see what I mean as their MCs participate in this wonderful time! If your interested in having your MC interviewed, go here for further information! Today is Memorial Day. I offer my gratitude in prayer for those who have passed on protecting our rights, safety and lives. I thank my Father in Heaven who has blessed this great country so that I may worship Him and rear my children according to the dictates of my own heart and not someone elses. 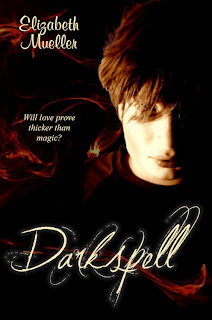 chat with authors Deanna Jewel, S.B. Niccum, Robin Renee Ray, Teric Darken, Krisy Keley, and Elizabeth Mueller--moi! Deanna Jewel is hosting coolawesome paranormal chat June 18th! Vampires and Ghosts and all others welcome! 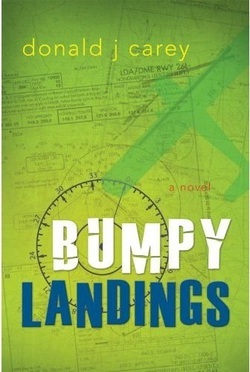 Don't forget Bumpy Landings book giveaway! Hurry, ends Monday morning! Super cover artist Jaimey has taken what I started and added magic! Can you see Alex, my 17 year-old MC, staring at you? That, my dearies, is my 11 year old son. I manipulated his face on my PAINT program. I really need to update myself, don't I? How cool does the cover look? Kathi Oram Peterson's River Whispers had me turning its pages! Regina Bernard struggles from the death of her husband and blames many of her problems on her old flame, Samuel Tanner. The sudden murder of Ranger Curtis Romney is pinned on poor Regina, and while she fights to clear her name, Samuel thinks of ways to rekindle their passion. I enjoyed the intricate thought patterns as Regi reasoned how every person around her could've murdered the poor Ranger. Her stubbornness, I have to admit, made me want to beat her over the head with a pillow. Kathi is masterful at creating her story. I enjoyed the page-turning experience, and was pleasantly shocked at the many twists at the end of the book. When I was done reading, my teen daughter snatched the book up and finished it in under 24 hours! That says a whole lot if you ask me. Kathy Oram Peterson is holding a huge giveaway! River Whispers Blog Tour Roundup!!! 1) Be a follower of Kathi's blog. 2) Leave a comment on her blog. 3) Leave a comment on my blog! 2) Leave a comment on her blog each day of the tour. 3) Leave a comment on the review blogs for each day. She'll announce the winner Monday May 30th. What's better than a book? 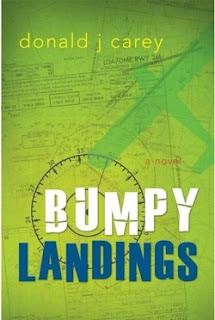 I am hosting a giveaway here at my blog, and not just any book, but Bumpy Landings by Donald Carey! If you'd like to know more about this fantastic read, you may read my review here. Each worth 1 entry. Please leave a separate comment for each entry. + Watch the book trailer below and tell me something that you liked about it. + Post about the contest on facebook. + Be a follower of my blog. The contest will end Monday morning, May 30th! I hope you don't think I'm cheap by reposting this, but I think it's a perfect fit for FFW's topic. I've updated it as well, so I hope it's better now! You can see what the other Fantastic Friday Writers have to say about query letters. Alex J. Cavanaugh, Anastasia V. Pergakis, J. D. Brown, Deirdra Eden-Coppel, M. Pax, Jeffrey Beesler, Charlene A. Wilson, and Andrew J. Cooper! First off, when I create my query letters, I keep it to 3 paragraphs. Always make sure that it is written to the right agent. I know I wouldn't want a query letter on a horror novel when I only handle children's picture books, so make sure you do your research and get it to the right person! Para #1: A simple logline, the book title, genre and word count. Don't forget all your email addresses, and phone numbers! How is the food pyramid like a query letter? Well, let's see. The broadest part bread, cereal, rice & pastas with the most servings a day is at the bottom. So on so forth with a "Use Sparingly" at the top. It's an upside down pyramid that is very much like food pyramid. 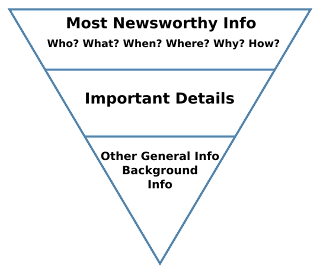 Journalists and other writers use the "inverted pyramid" to show where the most important stuff goes within text. This is a common way for writing news stories for journalism students! "I think this style very much applies to writing queries, but not so much to writing fiction--and therein lies a possible reason why we fiction writers have such a difficult time writing queries. We think in terms of the path of the story rather than supplying important information quickly. Queries are really non-fiction--a business letter, if you will--and we should write them as such." So, what do you think? Do you agree that it could be a formula to query letter writing? Yesterday I gave my presentation over at a Junior High School in Tooele, Utah. Clark N. Johnnson. The kids were fabulous, silly and most of all, creative! I had so much fun sharing what I've learned with them, though they learned tons from their brilliant teacher, Shanna Blythe--a great writerly friend of mine! The principal took several pictures and I've yet to receive them. I'm planning on posting them on my website and blog as soon as I get my hands on them! It's definitely a new feeling as an author figure, and amazing! I've yet to establish the comfort of indulging my ego in talking about myself so freely as Karen Hoover can! She's amazing and seems at ease. I think tenure has lots to do with it. What do you think? Does talking about yourself come easy, especially with people you don't know? 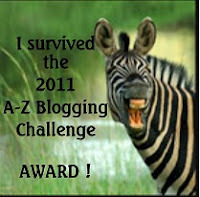 Hi, my bloggie friendz! I'm helping my friend, Angie Lofthouse, with her blog contest by hosting her story, Among the Silent Stars. "Among the Silent Stars" first appeared in Amazing Journeys Magazine in March 2004. 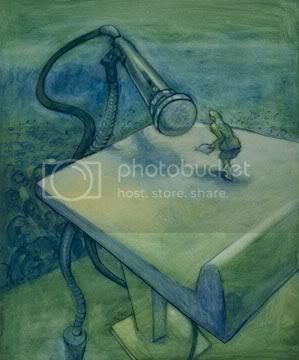 It also received First Honor in the Science Fiction Writers of Earth short story contest in 2002. Manon just doesn't fit in with the rest of her small space colony. She wants nothing more than to get away. But when her only friend passes away, Manon faces a choice. Get away like she's always wanted, or stay and fulfill her dying friend's final wish. Has there been a time in your life when you felt like you didn't fit in? Your comment will give you one entry in the grand prize drawing (includes an Amazon gift card, free book and other fun stuff! ), plus one commenter on this post will win a Milky War bar. Mmmm. Include your email address, if it isn't on your profile, so we can contact the winners. Be sure to visit the other stops on the Adventure and good luck! Public speaking. My comfort zone is being tried to the max! This is one of the scariest things I try to avoid. Being in the church I do, there's really no way around it. Okay, fine, I could turn it down when someone asks me to give a "talk", but that would make me feel terrible if I ever did. I would feel like an ingrate. But I know that speaking in public as an author is a MUST if I want to promote my book. It comes with the territory, there's no way around it! It's terrifying and I've lost sleep over this. I wonder if I stop fretting and actually sit down and ponder on what I would be speaking about and think about how I can stretch it over a period of 60 minutes, would I still be scared? I have had several offers already: one for this coming fall at a university, and the other for a Teen Author Boot Camp, spring of 1012. (check it out here!) I haven't said no while my insides are twisting and knotting into tight loops. So guess what I did to make it happen sooner? I asked a writing teacher friend of mine if I can teach a class. Aaa! What. Have. I. Done? I am a big time pantser writer. I think pantserness is bleeding into my public speaking, too. I know that I need to face my fear sometime, why not make it the 18th of May? ps--today I am a year older, yikes! Please join me and Sue Roebuck over at her fantastic blog, Lauracea, for an inspiring interview. She sure knows how to get those creative juices flowing! So I *emailed my query letter and wasn't sure what to expect. More rejections, of course! 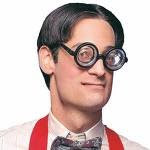 I've been in 'writer mode' for over 20 years. So what I got back from the publisher took me by shock. I literally feel like a dog who has devoted his life in chasing cars. Day in, day out. Until--I catch one! I've been in my comfort zone of rejectedness for years. Sounds ironic, doesn't it? Let me tell you something, I was taken by total surprise. I thought, "Really? They want my book? Really?" I did more than pinch myself. I got sick. Literally. Many thoughts of doubt, yes, doubt, jumbled up my head. Can you believe that? I wondered if I was making the right choice. So I prayed and fasted and prayed and fasted again before I replied to the acceptance letter. It was no easy thing for me. I researched the publisher. Read their website. Their blog. Looked them up on Preditors & Editors, reviewed their authors' blogs and sites. I studied the mock contract. I asked questions. I did more research. I consulted expert writerly friends. I did it all. What if they read my entire novel and decide it's not as good as my query letter? What if they don't like my book? What if, what if! I went back and reread it and my stomach fell. I want to promote something that would make my publisher proud. Darkspell has gone through 3 rewrites, roughly 3 editing sessions, over 4 critter palz, and yet, I felt unsure. I called a friend of mine who rocks with writing and asked for the dirty truth of my novel. She coached me on some details that flipped me into an oblivion. I sunk further. I should've known better! Why did I decide to submit my query letter? How could I have submitted it this whole time, thinking my book rocked? Blessedly, my publisher was okay with me doing a major face-lift. I cut over 5K words from my book. The fluff, you know? It's amazing how an acceptance letter makes a whole world of difference on my perspective of my MS. Finally, after more praying, I whipped out the contract and signed and documented it! How do you imagine it to be for you when an agent or publisher says yes? If there ever really was a super, wonder, or alpha woman, it has to be Tristi. She's a published author of six books, a professional editor, a book tour coordinator, a PR sidekick,a compassionate BFF, a Cubmaster, a loving (and adoring) wife, an ignorer of housework, and a stay-at-home mother of four. _. And she home schools too! She loves books and will never approve of anything questionable if she could help it. Tristi's fun humor shows in her books. I've read Dearly Departed and loved every page of it. Check out her website here. 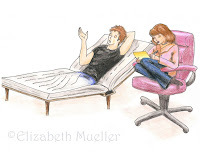 To follow awesome Tristi on her blog, go here and learn more about her writerly powers! To purchase Dearly Departed, go here. I get up around nine in the morning. If it's an A day, I take my daughter down to seminary, and then I check e-mail and start on my morning computer work while she's gone, and then I go pick her up. If it's a B day, I just start right into the work. But if it's an assembly day, or a collaboration day, or a snow day, or a snow make-up day, all bets are off. (Homeschool is so much easier when it comes to schedules.) My kids are, in the meantime, getting themselves some breakfast, getting dressed, starting some laundry, picking up toys, etc. so they can earn some morning computer time. I'm on the computer until around noon, and then we do lunch and school. Late afternoon, my husband comes home, and I'll either make dinner or delegate that to him, and then I get back to work. 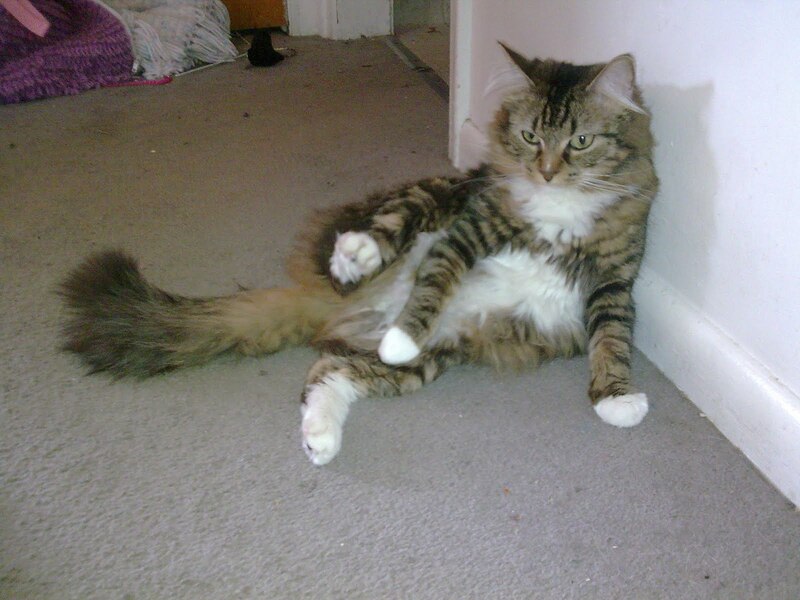 He does a lot around the house to support me. He puts the kids to bed, and then I'm up working until around 2 am. That's why I get up at nine - gotta sleep sometime! Whew! What is your day off like? Day off? What is this thing you call day off? Um, my days off are Sundays, and I sleep in, then go to church, then take a long nap. I'm always working on an edit of some kind - my schedule is completely full. As an author, I'm working on two books. The first is a YA contemporary, which is totally new for me, and the other is the first book of a series which is a spin-off from The Secret Sisters Mysteries. As an editor, what are the most annoying mistakes writers make? 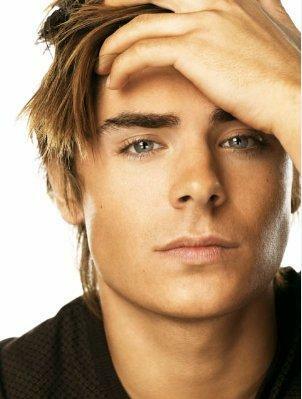 Everyone makes mistakes honestly, and those don't annoy me. I just take a minute to correct them and I include a note pointing out the mistake. What annoys me is when they don't take the time to self-edit before they send it to me. If they send me something that's not their best work, I feel like it's a waste of my time. But there are authors who really do send in their best work. It may still be completely full of errors, but as long as I know they really tried, I know they are invested in the process and they want to learn. What have you discovered as the most effective marketing tool? The Internet, hands down, no question. Get a blog, get a Facebook account, start interacting. Get your name out there before your book even comes out, and you'll have a built-in audience as soon as the book hits the shelves. I'm still trying to decide if I like Twitter. Those who use it regularly love it. I'm in the experimental phase. What is the perfect formula for forming a logline? Who is your character, what are they facing, and what do they learn? For instance, let's use the example of Little Women. "Jo March, an aspiring female author in a world dominated by men, learns that true success comes when she focuses on her real passion--her love for her family." Short, sweet, to the point, emotional ... and pretty darned good, if I do say so myself. If Louisa May Alcott weren't dead, I'd tell her to hire me. If you had a perfect day, what would it be like? It would involve sleeping in, and a nice breakfast I didn't have to make. I would then leisurely bathe, get dressed in really cute clothes (that are several sizes smaller than clothes I wear regularly, but this is a fantasy) and then spend some time with my children, who are lovingly communicating with each other in dulcet tones. My handsome husband would come in, his arms full of flowers, carrying the mail, which includes a large royalty check. I don a frilly apron and effortlessly whip up a tasty, healthy, and beautifully presented meal, and we sit down to eat together. The children put themselves to bed, skipping all the way down the hall, blowing kisses and calling out, "We love you, dear parents." Then my husband and I would cuddle on the couch, talking about our day, and I would then stay up to write for an hour, knocking off the first chapter of my next novel, which will, skipping forward in time, garner many awards and bring me much fame and fortune. Hmmm. I don't know if I have any words, necessarily - I do believe in certain credos, such as, holding your integrity as one of your most precious possessions and not sacrificing it for anything. I believe in being true to your inner voice. I believe in honing your skills and making them the best you can, and then continuing to learn and grow through further study. Does that count? Can you feel how a name has a simple, yet powerful, effect as you read them? A name is as important as the title of your book. It needs to paint a picture, like your hook, that sums up the entire character. This site has were-wolf names, space names, and more! Go check it out! :D Here is another cool site for awesome names! I can't wait to see what my friends with Friday Writers think! Visit their blogs to see what they say about names! Anastasia V. Pergakis, J. D. Brown, Alex J. Cavanaugh, Deirdra Eden-Coppel, M. Pax, Jeffrey Beesler, Charlene A. Wilson, and Andrew J. Cooper! 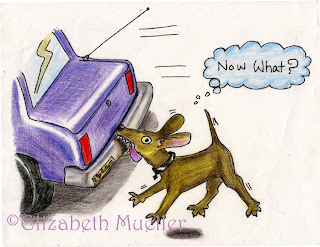 Illustrating Bragging Moment: Click here! 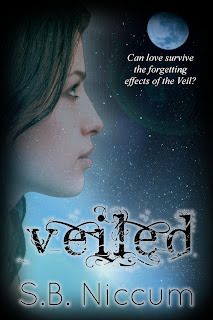 I've had the honor of catching Silvina, author of Veiled, for an interesting interview. I fell in love with her debut novel, and am thrilled to learn more about her and her books! Bloggie palz, introducing S.B. Niccum, author of Veiled! Veiled is a Supernatural Fiction about life before life. I call it “The journey of a Soul” because it’s the first of a trilogy that covers the journey of Tess, an un-embodied spirit who is preparing for her mortal life. Tess and her clan have been assigned to a planet called Earth. 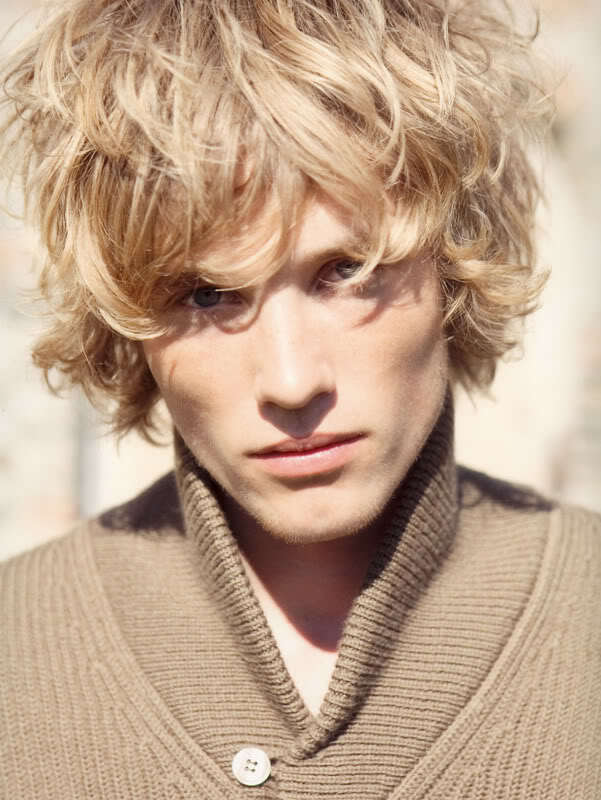 They are trained by twelve foot tall Cherubs with feathered wings and ten feet tall half-human, half-lion Seraphs. The spirits are very gifted and together they qualify to become some of Heaven’s most powerful Angels. But even Angels falter, and Tess’ insecurities about the Veil and its forgetting effects, leads her to wonder about her choice. Will she be able to accomplish her life’s mission to keep the leader of the Fallen Angels at bay during mortality, and will she meet her soul mate in life? Veiled is a fun YA story that will entertain anyone who liked “The Chronicles of Narnia” and “The Ghost Whisperer”. It’s clean and uplifting, filled with adventure, love stories and some deeper thoughts about the choices we make. The scriptures did. As I studied one morning, I asked myself what it was like, to be there, about to step through the Veil, knowing that the minute we stepped through we would lose all our memories. I wondered if we were scared at all or even sad to know that we might not remember our best friends. The excitement mixed up with the anxiety gave birth to the two main characters, and right away I wrote the ending to the book. Then I made my way forward. Was there a time when you felt like giving up? Why didn’t you? Not really. I’ve always felt pretty certain that this book would someday be in print. I didn’t know how soon. I figured it would take years to get it published, but I saw it happening. …Call it a premonition if you will! How did you deal with writers block? I didn’t really experience writers block. I read an interview done on Roald Dahl where he said that if you quit writing at a good part in the story you’ll never have writers block. I kept that in mind. Also I wrote same time every day. 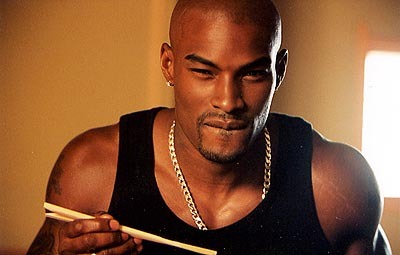 And I thought about the plot in between, so when I sat down to write I had plenty of ideas. If I ever came up completely dry, I would go back and edit. That usually got me un-stuck. Who is your sounding board? My head has been my main sounding board. Sunday school was the other, my husband, mom and brothers were also easy targets. Later, when I saw that this book had a future, I started picking some of my friend’s heads. How did you handle rewrites/edits to perfect your book? I’m probably weird, but I actually didn’t mind editing. I saw it as a chance to make my work better. My biggest fear has been making a fool of myself and every time I edited I felt empowered by the process of making my work better. When someone else proof-read my book I got all exited and couldn’t wait until I saw what they found; every comma and every hyphen meant my work was better than it was before. How did you feel when you were picked up by your current publisher? What did you do to celebrate? I’m working on the sequel to Veiled. Living Soul is about Tess’ life on Earth and how she deals with her gift of discernment as a mortal and how she fulfills her life’s mission. Like any mortal, Tess has forgotten all about Heaven and her friends and a tragedy lands Tess in foster care. With all the normal insecurities of a regular teenager and some very unsettling paranormal phenomena; Tess takes on the responsibility of caring for her foster brother, Dorian, and hopes that the cutest guy in school (Alex Preston) notices her. I’m also jotting down some ideas for the third book “Endless”. This book will cover Tess’s afterlife as a spirit again who is striving to gain her immortality in Paradise. This last book I’m really looking forward to writing, I have a lot of ideas floating in my head that I can’t wait to put down on paper. Some of the topics that will be featured in “Endless” will touch on redemption of the soul, overcoming addictions and perceived self imposed limits to what I like to call ‘evolution of the soul’. I didn’t speak English until I was fourteen. Not a lick. In fact in Argentina, I got terrible grades in English. My reasoning was “when will I use it?” When I started High School in Utah (West High) I confused a lot of people by my appearance. The Latino crowd didn’t take me in because they thought I was gringa. The American crowd thought I was an exchange student from Sweden…. You get the picture. It took me two years to learn English and I had to do all my homework by looking up every single word and write the translation on the margins. Then I would re-read it and try to understand! It was a very hard and lonely time for me, but some good things came from it. I turned to books for companionship, and that friendship has been the most lasting of all. Do you have any pearls of wisdom for aspiring authors? Write something every day, a sentence or a page, it doesn’t matter. If you do something for 21 consecutive days it will become at habit, so make it your habit to work every day and feel good about those few words. Over time they add up, and before you know it you’ll have more than you need! Thank you for letting me interview you, Silvina! I had so much fun learning more about you and your wonderful books! See what some readers are saying about Veiled! What if ...... what if we existed before this earth life? What if we knew our friends and family before coming here? What if we chose our trials ahead of time, knowing it would be for our best? Sylvia Niccum asked these questions and then proceeded to answer them in a way that keeps you turning the pages into the night, wanting to know how it all turns out. While this is a work of fantasy, are there perhaps some grains of truth within this story as well? I think there are. Read it yourself and see what you think. This is a terrific read! The author paints pictures that bring the characters and setting to life and the story is so gripping I couldn't put it down! This story takes place in an environment that no one has ever written about before but we all know exists. 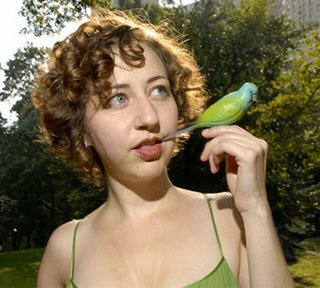 Fascinating - she makes you think in ways you've never thought before and consider things that are mind boggling and new, but at the same time you think, "Oh, that makes perfect sense." Incredibly thought-provoking! It seems like I'm always chatting about this with my husband and friends. It was one of those books that you can't wait to finish but at the same time you don't want it to end. I laughed, I cried, I loved it! If anyone is looking for a book for a book club, this is the book! You'll talk about it for days! S.B. Niccum presents not just a great story, but something to contemplate while you are reading and long after. This book left me thinking about what I know and what I may have forgotten. There is love, suspense, laughter, and tears; what more could a girl want? Can't wait for the next one! Enjoy the trailer, made by the author herself! Have you ever wondered if spirits are eternal? If they just spontaneously generate from the day we are born? This novel is the first of its kind that I've ever laid hands on. I found Heaven a fascinating place where Angels guard their charges with fierce devotion. I lived their joy as mortals succeeded in their righteous choices and experienced their sorrow for wrong. Meet Tess, a determined Angel that endures conflict even before she is born on Earth! The dark angels are determined to stunt her growth, but will her soul mate save her in time? The world in which Niccum creates, starts before the beginning of time, and grows richer with every step of the way. She did a fantastic job with making her characters come to life. The world she built makes sense, and I fell in love with every one. I worried for them as they stumbled along in their choices. I cried for the joy and peril the characters endured. This book makes me think about life in general, how the Angels really work around us. I find Niccum's world fascinating to read, enchanting and enjoyable. I'm looking forward to reading its sequel! Visit S.B. Niccum's blog, and website! 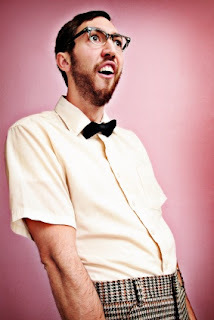 How to write short, but catchy posts. More friends, skills in writing condensive versions, and speed! 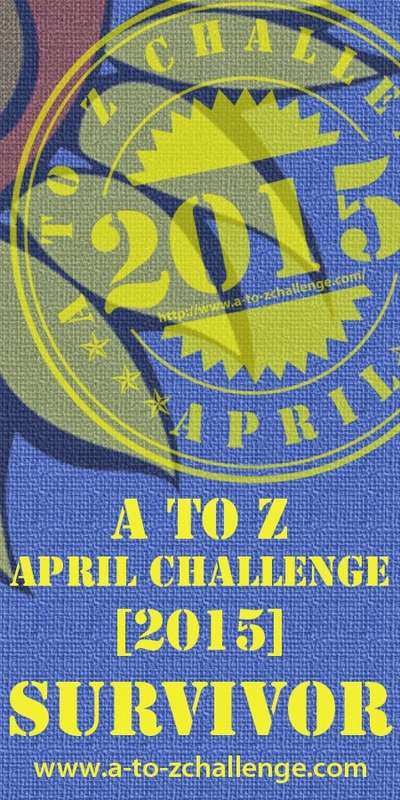 If you joined the challenge, what learns and earns did you gain? If you did not, are you going to join next year's?